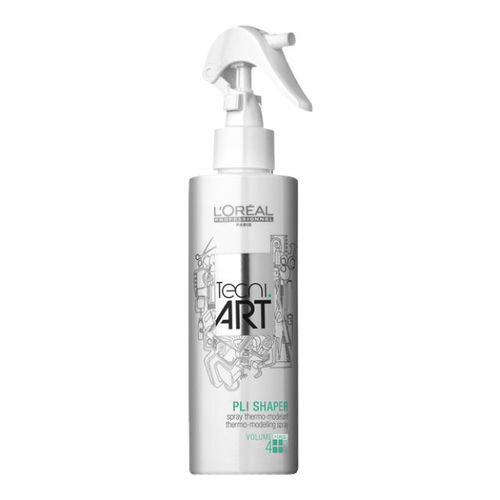 This thermo-modelling spray adds shape fix, grip and hold. Think of it as a foundation for hair. The instant root-lift effect for any bouncy curls and wavy blow-drys. So how do I use it? Spray liberally onto towel-dried hair, lifting the roots as you blow-dry or using rollers for more of a volumized look. Use a heat styling tool for even more creative looks.